Some hearing losses are hereditary and caused by gene mutations. These mutations can cause hearing loss in several ways. 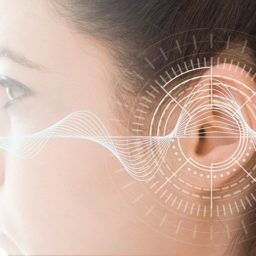 Inner ear sensory hair cells play a vital role in our hearing and mutations in these cells can prevent them from functioning properly, resulting in hearing loss. Some medications or drugs can cause damage to the inner ear or hearing nerve. This is called ototoxicity and it can affect both hearing and balance. The exact way ototoxicity causes damage is not fully understood. Some types of medications may be more ototoxic than others. It is also dependent on the dosage and the duration of time that the medication is used. Some chemotherapy drugs and strong antibiotics are ototoxic, such as gentamicin, streptomycin and neomycin. Hearing loss usually occurs in the very high pitches (frequencies) first, as they are not important for speech and language. If undetected, hearing loss can progress to affect the speech frequencies.